1870 Ada Co. census Gem Co. was formed March 1915 from parts of Boise Co. & Canyon Co. 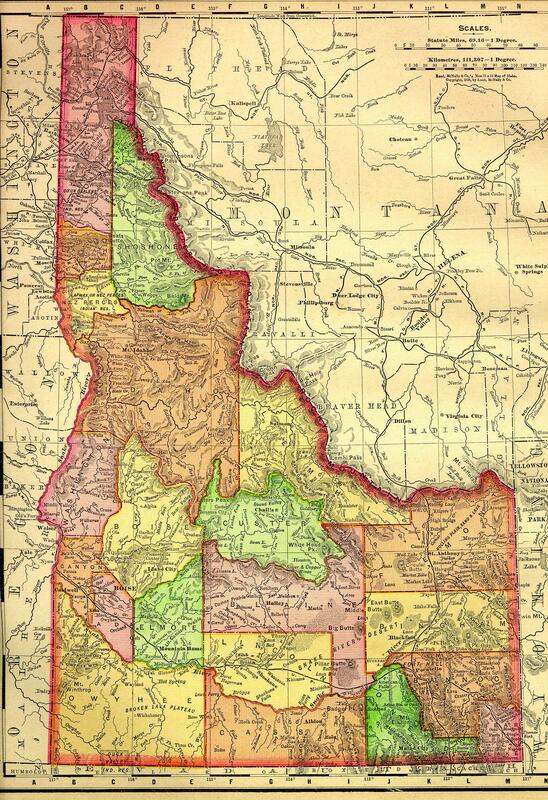 The southern portion that had been part of Canyon Co. was part of Ada County in 1870. Emmett City Hall, 501 E Main Street, Emmett, ID 83617, (208) 365-6050: City Hall has a record of all the burials, as well as the cemetery book, for Emmett-Riverside Cemetery. The sexton at the cemetery has the same info. LDS Family History Center, 980 W Central Road, Emmett, ID 83617, (208) 365-1168: (entrance on west side of building) The Family History Center's collection includes the three-volume local obituary collection compiled by Edith Scott and others; also, mortuary records from Potter's Funeral Home on microfilm (1910-1956, some to 1983). There are several premium subscription genealogical websites accessible at the FHC. Salmon Public Library Digital Archives (1867, 1886- 1967), Collection of newspapers published in Salmon, Boise, Sweet, Burley, Gowen Field, and Payette Lake.